Today's Tone and Tenor Show's Topic : High Blood Pressure Education Awareness and Stroke Awareness. 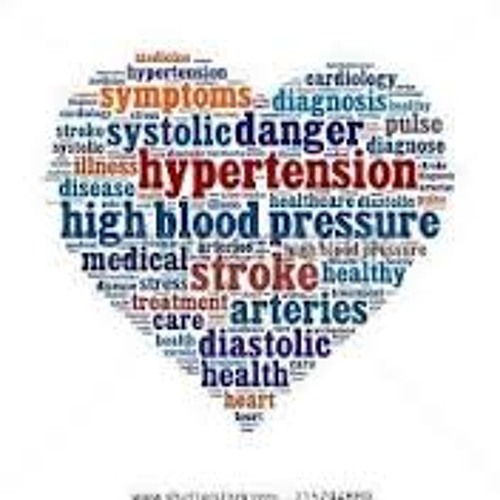 May is both National High Blood Pressure Awareness and National Stroke Awareness Month. Guest on the Show: Dr. Jerry Penso Chief Medical and Quality Officer of the American Medical Group Association. He oversees the American Medical Group Foundation, including the Measure Up /Pressure Down Campaign. He rec'd his BS in Chemistry from UC Berkeley, Medical Degree from USC and MBA from San Diego State University. James Baranski Chief Executive Officer National Stroke Association. He is responsible for managing and implementing strategic plans and policies as determined by the board.He sits on various boards and has worked with celebrities Henry Winkler, Susan Lucci, Mark McEwen and Doug E Fresh on stroke and awareness and education initiatives. Hasha Riley two time stroke survivor - stroke advocate, producer and an author. As an advocate she has spoken before an event hosted by the American Heart Association, American Stroke Association and the Congressional Black Caucus May 2011. She was featured in the February / March 2009 issue of Heart and Soul story titled Jumbled! "A Young Woman Makes a Comeback From a Stroke". She was a guest on In Transition with Libra Johnson and a guest on the Tone and Tenor " bipartisan voices of the people" show with her twin sister Libra and father Scott as they spoke about their book Grace in the Wilderness a Family's Story of Love and Redemption was when Tone and Tenor learned of her plight as a stroke survivor.